An easy way for you or any viewer to view their dashboards is through using the Dashboard portal. 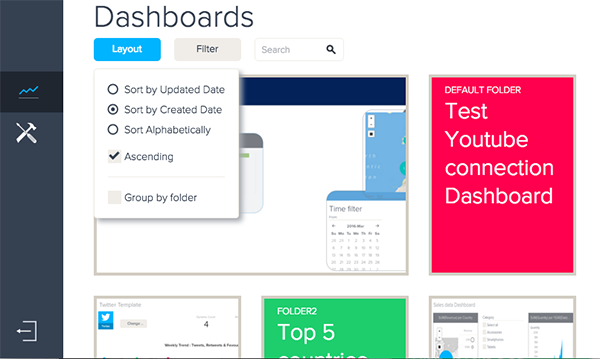 The Dashboard portal is located in the same place as the Dashboards library, but contains all dashboards that viewers have been given permission to. 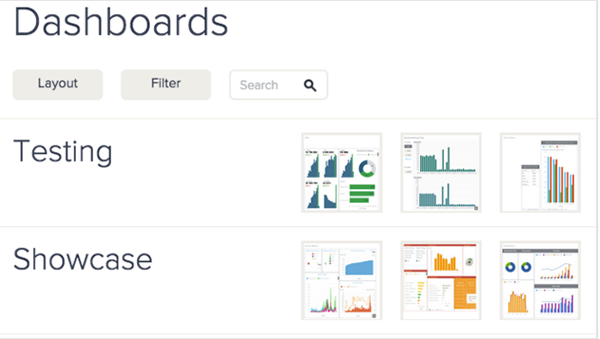 Viewers can filter dashboards by type or search for a specific dashboard. Viewers have several different options for organizing the layout of their portal. The default organization is by updated date, but viewers can click the Layout button to select different options. You can also check the Ascending or the Group by folder options. The Ascending option will arrange dashboards into ascending order. The Group by folder option will automatically place dashboards in the folders your admin created. Viewers cannot create folders. You can click the Dashboards icon (shown in the article above) to access your dashboards. You can then select your dashboard's image to open it. 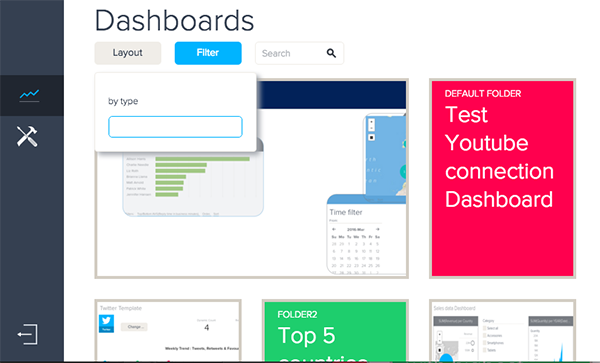 If you don't see any dashboards in your Dashboard library or portal, your admin might need to share the dashboard with you (Sharing dashboards). I'm so new to this and our admin is out of the office. And, he is the only admin at this point and I need to get to the dashboard. How can I be added with admin rights?.. I'me the Controller here at Cask and our Ops department users need to get to the dashboard and data for updates and are calling me for help.. Please assist me or direct me to the right POC to get this resolved. And, unfortunately I need it resolved ASAP. My direct ph is 858-634-6214, in case you need it for verification, easier contact, etc.. Unfortunately I don't have access to other user's accounts, but someone else from BIME support might. I've created a high priority ticket on your behalf and assigned it to BIME support. In the meantime, please check out the Getting started guide for information on beginning to use BIME. I have not received any response from the support desk yet. Do you know how long does it take for resolving these requests ? I really need this asap in order to provide access and data to our ops team. They keep asking for it. Sorry having to ask you for help but have not much of a choice at this point.